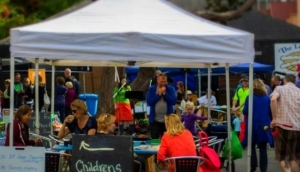 Weekly Markets in Wellington are popping up all the time. Fresh produce, second hand clothes, books, antiques, even live entertainment, there's a bit of everything here. Put the relevant day aside, and browse like a local. Attending one of Wellington's Weekly Markets is a popular pastime for many Wellingtonians. The City Market is held every Sunday morning, inside the Atrium on the Waterfront. Dozens of local food and beverage producers come together to sell their wares, and you can pick up some delicious bites. From fresh juices and antipasto, to organic beers and even Turkish Delight, you won't need to eat for the rest of the day. The Harbourside Market, next door, is held at the same time. It's basically the same thing, the only real difference is that this market is outdoors. Hill Street Farmers Market kicks off every Saturday morning at St Paul's Cathedral, and is where many city restaurants get their produce. The prices aren't always cheap, but freshness and quality is guaranteed. The main art and craft market, is Wellington Underground Market, at Jervois Quay. Held all day every Saturday, it's a cornucopia of locally made gifts, clothes and homeware, plus speciality gourmet foods, and live music.